Select from our most popular custom dial designs right now by clicking on a dial, choosing a style for your hands, or even selecting a marker-only clock face. Your custom made clock configuration can be installed in towers, as a canister (drum) clock, projecting from a building, or in any custom wall clocks and cupola clock configuration. 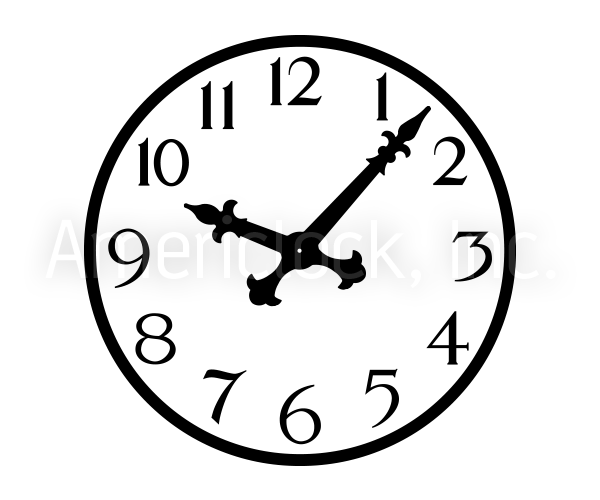 Americlock can also create the perfect custom clock for your custom requirements with your logo, emblem, or custom text to add a more personalized feel to your options. Designing your custom clock dial with a variety of traditional as well as modern faces right online is easy using our configuration tool however if you don’t see the design you are looking for or have something else in mind, call us (800) 666-1221! Know Your design's Model Numbers?